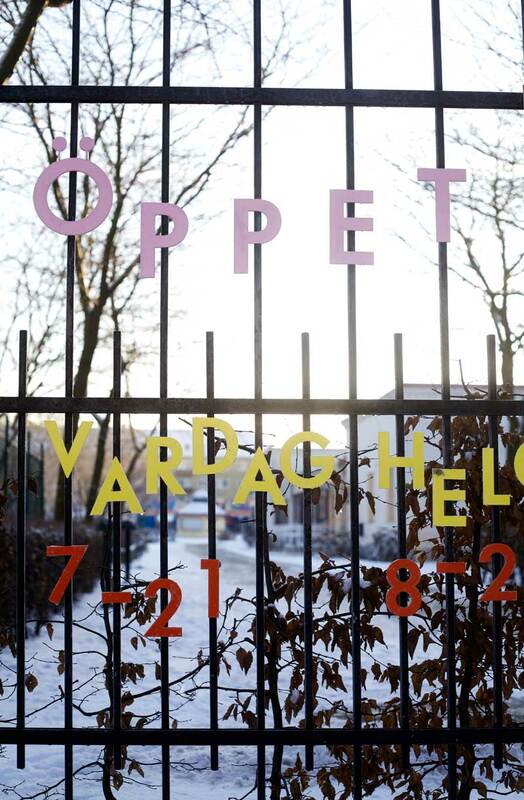 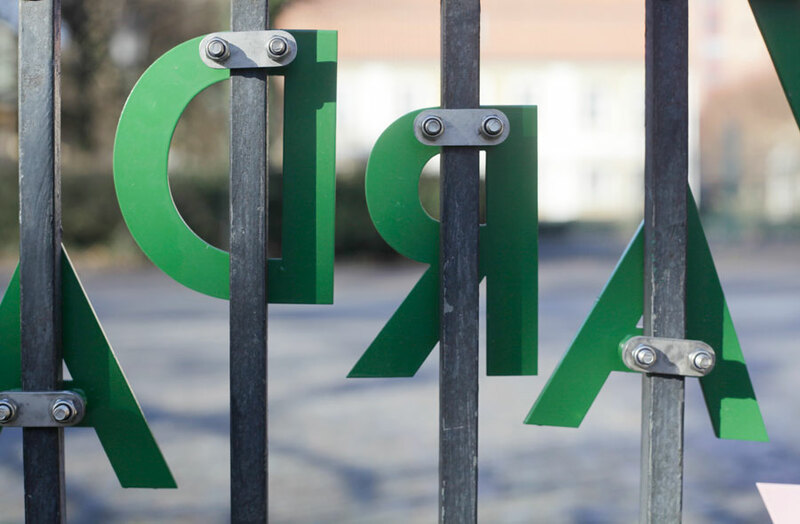 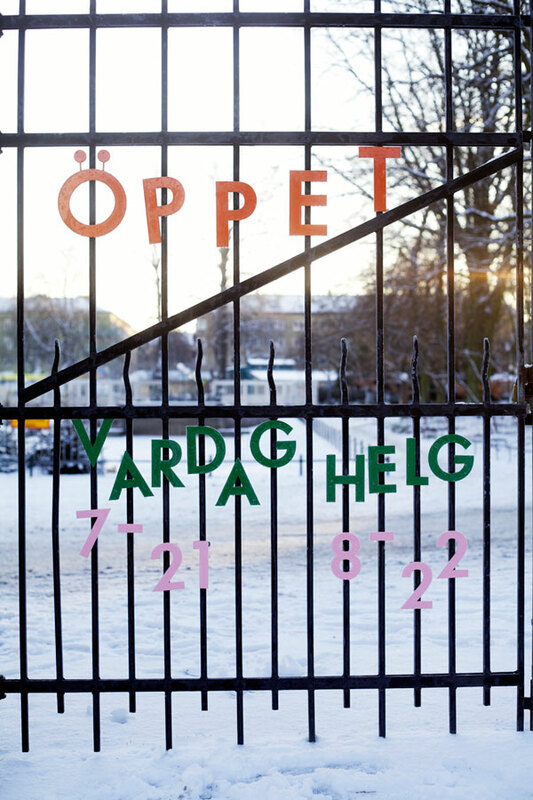 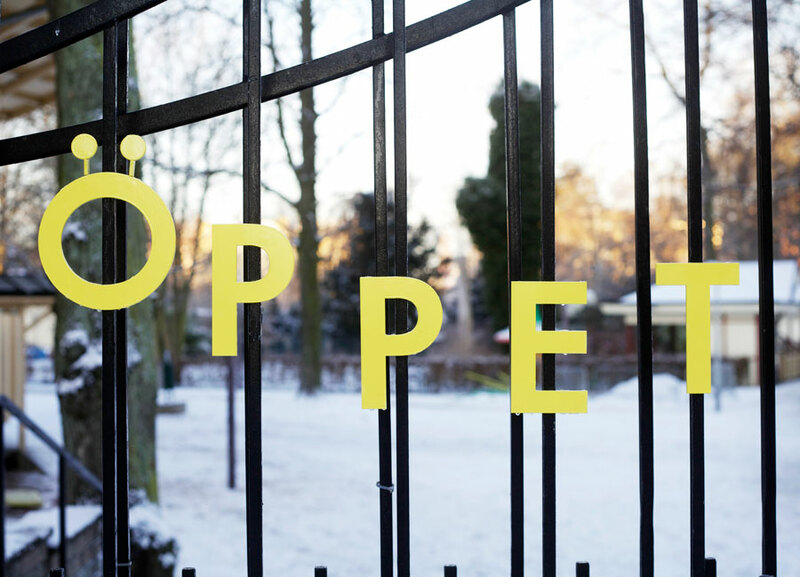 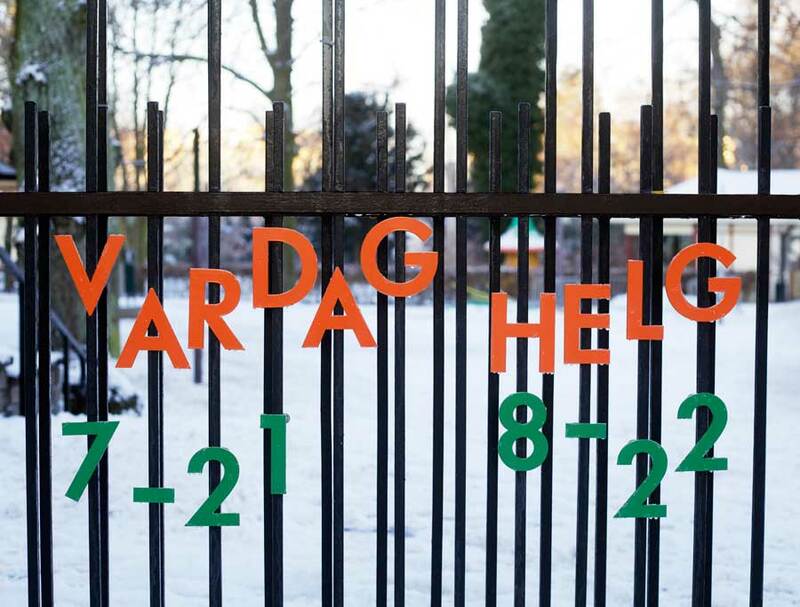 Custom-made letters spelling the opening hours of Folkets Park. 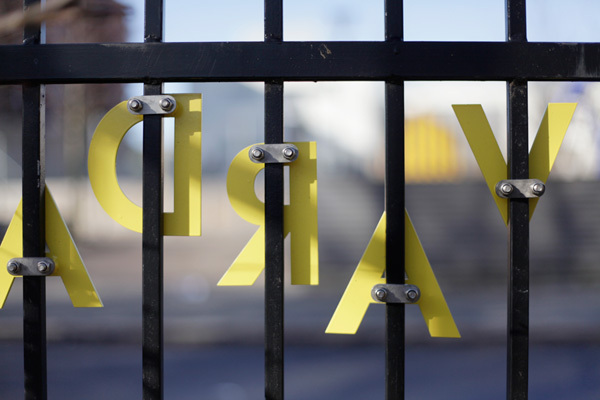 The iron letters are interchangable and easy to move around according to the season's changing opening times. 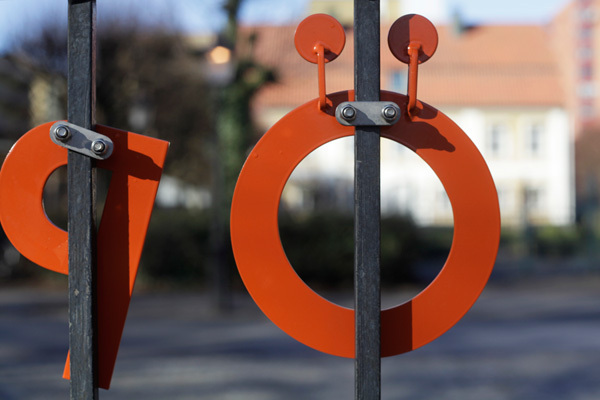 Attachments constructed by Oscar Andersson. 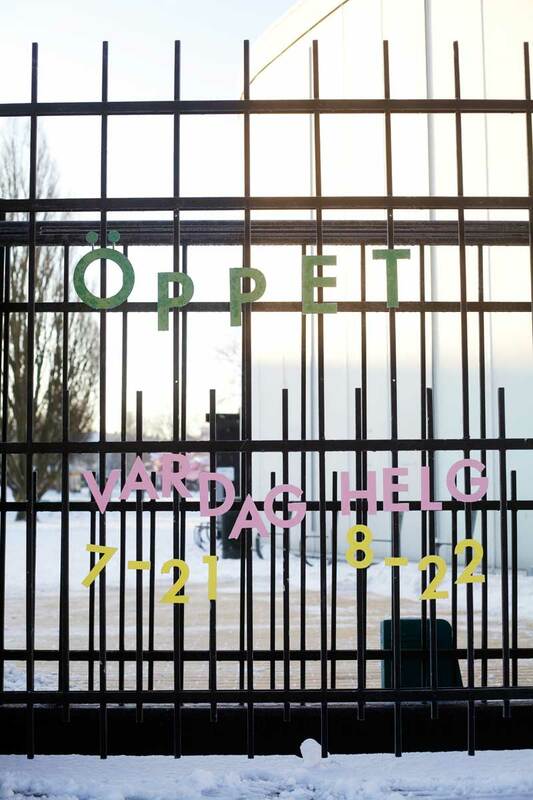 Photo: Lotten Pålsson.